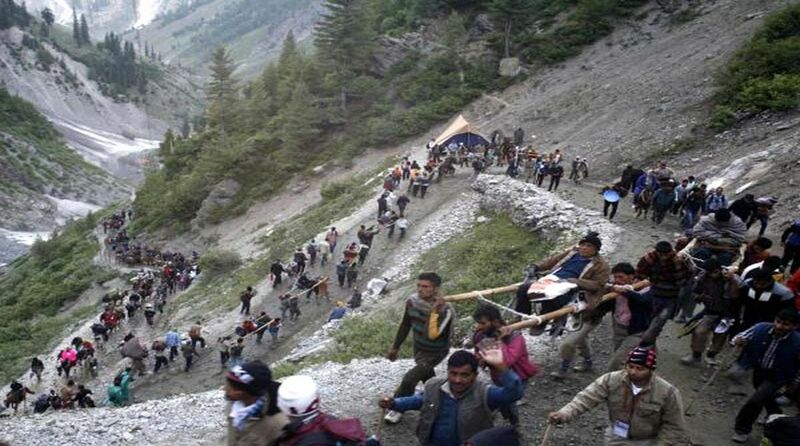 Hundreds of Amarnath pilgrims from across the country are stranded in Jammu and the two base camps of the pilgrimage in Kashmir because of heavy rains that have triggered landslides at several places. However, some pilgrims were allowed to proceed to the cave shrine from Baltal and Pahalgam as weather improved in the area. 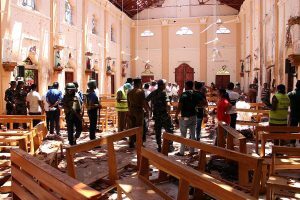 Heavy rains have lashed the state since 28 June when the pilgrimage started. About 2,500 pilgrims stranded at Tikri, Udhampur and Ramban on the Jammu-Srinagar highway since yesterday after leaving Jammu under protection of security forces in a convoy were today being moved towards Kashmir as there was a slight improvement in the weather as the sun appeared in the afternoon. Arun Manhas, additional district magistrate, Jammu district, told the SNS that about 8000 pilgrims were held up here as the fourth batch of yatris was not allowed to proceed to Srinagar this morning because of bad weather. Proper arrangement for their food and shelter has been made in the Yatri Niwas here. Police said that several small and major landslides have blocked the highway at many places. Men of the Border Roads Organisation (BRO) were engaged in clearing the highway and other roads. More pilgrims are likely to get stranded here by evening as they would not be allowed to proceed ahead due to bad condition of the highway. Panic prevailed in Kashmir when the Jhelum crossed the danger mark and other rivulets and streams were also in spate. The authorities sounded a red alert in central Kashmir through which the Jhelum flows. However, the situation eased by afternoon when the water level started receding. Governor NN Vohra convened an emergency meeting at Raj Bhawan to discuss the flood situation and measures to meet any eventuality. Schools across the valley were shut for a day in view of the inclement weather. The police announced district-wise emergency telephone numbers for information regarding the flood situation and assistance. The flood level at Ram Munshi Bagh in Srinagar crossed the flood declaration of 18 feet and was flowing at 20.87 feet at 10 am, an official of the Irrigation and Flood Control Department said. In south Kashmir after the water level crossed the flood declaration level of 21 feet at Sangam in Anantnag district of south Kashmir. Following which the flood alert was sounded.